>> Monument to Miscarried and Stillborn children. 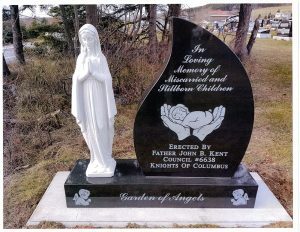 Today, Archbishop Currie blessed a monument in Loving Memory of Miscarried and Stillborn Children. The monument was erected in Holy Sepulchre Cemetary by Father John B. Kent Council, Knights of Columbus.